Are you an accomplished poet, or have you always meant to have a go at writing poetry but have never quite got off the mark? Now is your chance to have a go and hear your words on the radio! Radio Parkies is launching a poetry competition in memory of George Hanks, a man who strove to help others, despite his own health problems. His book “Poetry in Motion” helped him raise significant amounts of money, which were then used to help people living with Parkinson’s and other conditions. Entries are invited from people with Parkinson’s and their immediate care givers. Entries must be the poet’s own original work. All entries must be in English. Poems should be no more than 300 words long. Please use discretion in the use of language, poems containing swear words or expressions unsuitable for broadcast will not be accepted. Entry into the competition is free. There are two categories. Entrants can only enter one poem for each category. a) Parkinson’s, its symptoms, treatment, experience of the condition etc. b) Radio Parkies, its impact, its reach, its benefit for listeners, its growth etc. Entries should be emailed to the address given below. Poets must also send a voice recording of the poem in MP3 format, suitable for broadcast on the radio. The reader need not necessarily be the poet’s own voice. 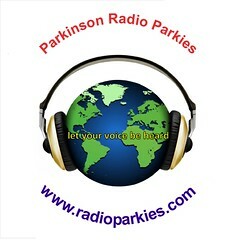 Radio Parkies reserves the right to show the poems on its website and play the recordings on its website and in broadcasts.The closing date for entries is 28 February 2019. Results will be announced by the end of April 2019.Poets may use a nickname or nom de plume for display purposes, but must also include their real name and country with their entry and their email address. Organisers of the competition and judges may not enter. The best poems, in the view of a panel of judges, will be selected. Judges will consider, amongst other things, emotional impact, humour, use of metaphor, and structure. The judges’ decision will be final and no correspondence will be entered into. Sending an entry will confirm that you accept and will abide by these rules.